Perfectly Pamela: Top Two Tuesday - Favorite Names...and my birthday! Top Two Tuesday - Favorite Names...and my birthday! 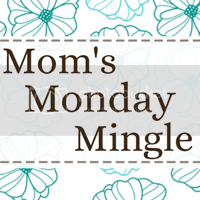 So, now on to Top Two Tuesday from The Undomestic Momma! Today's topic is favorite names. My soon to be sister in law had a fear about telling her favorite names to other members of the family because she feared they would steal them - so hopefully no future family members read this and jack my names! Boy name: Cayden - I love this name. But it will not be the name of our first born son because Andrew thinks it sounds like a name in one of those romantic, type love novels. But I'll always love it, and if we end up having two boys maybe I'll get my way! Girl name: Kayleigh - I always wished I could have twins, a boy and a girl at the same time, and they would be named Kayleigh and Cayden. Out of these two, Andrew only likes Kayleigh so our first girl will be named Kayleigh June. My middle name as well as my mother's middle name, AND Andrew's grandma's middle name is June, so we have to pass it along! Happy Birthday!!!!! I love your name picks! Happy birthday. I love for a child's name to have meaning behind it - but i also love looking at the intials as well! great names! that would be super cute for twins! Great names. Hope you had a Happy Birthday!